The Kyoto tea authority announced “hoga sengen” (budding announcement) on April 7th 2017. It’s 2 days later than usual because the average temperature in March was a bit low. The announcement is annually issued when about 70% of new buds of “Yabukita” cultivar (the most common cultivar to produce green tea) cultivated at a research institute are grown about twice as big as the size of leaves which are wrapped the buds. 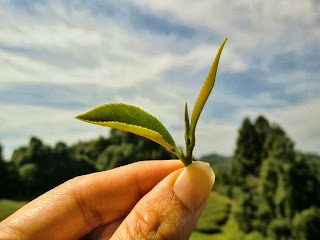 Usually, about one month after hoga sengen, tea is ready to be plucked. Sakura flowers are at their best now here. When finished, it is “tea” turn! All-Time High Price Tea ! !